In order to maintain our goodwill among the clients, we are offering them AC DC Drives Repairing Service. We have highly experienced and well-trained team of professionals who use the ultra-modern tools and machines while offering these services to our valuable patrons. Our offered services are getting vast appreciation by our valuable clients due to their cost-effectiveness, promptness and reliability. Apart from this, we offer these services at affordable charges. We “Khushi Control System” situated at Ahmedabad (Gujarat, India) have gained recognition in the field of Wholesale Trader, and Importer highly reliable array of AC drive, AC Servo System and many more. Apart from these products, we also render Repairing Services for the same. 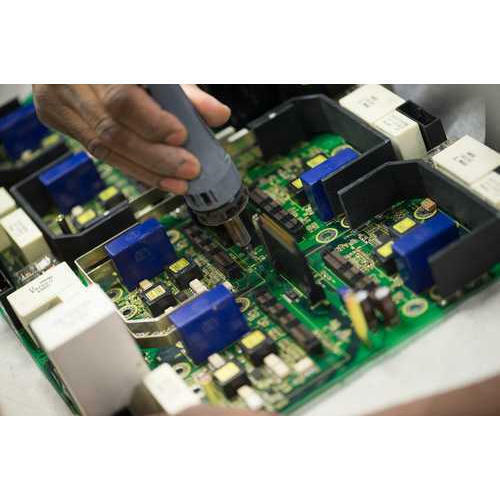 Established in 2010, we provide high-quality systematic repairing job work in the field of industrial electronics instrumentation and electronics control PCBs. We are specialized in repair of all make AC variable frequency drives (VFD) at the component level. We provide our services in different industries like Textile, Ceramics, Chemicals, Pharmaceuticals, Engineering, and OEM’s. Our company was established with the main agenda of provides electronic instruments and PCB sales and service to different industries through our technical skills and field experience. Since then we are providing high-quality systematic repairing service in the field of industrial electronics instrumentation mainly in AC variable frequency drive. Today with our commitment to our work and customer satisfaction, we proudly say that we are very near to achieve our goal to be a leader in the field of industrial electronics repairing. Right now we are the leader in AC variable frequency drive repairing and now our focus is to achieve the same level in other instruments like servo drives, stepper drives, spindle drives, and others. We are supported by a team of engineers, Technicians, Designers, Quality Controllers, R & D experts, Sales & marketing professionals and Warehouse experts in order to function smoothly. Also, in our quality testing department, all our manufactured products are thoroughly tested on various quality parameters by making use of sophisticated testing tools and devices under the direction of quality controllers. Under the guidance of our Proprietor “Mr. Kiran Patel” we have gained huge clientele across the nation.